GPS guide for older drivers in navigating their cars will make their life on the road easier. It is a great relief for them that they don’t need to use a map while driving or keep peering down on side streets to look for a gas station or their favorite restaurant. Still, distractions are the number one cause of road accidents, which researchers say are rooted from chaotic digital dashboard or tools, claiming 3,000 American lives each year. The recent neuroscientific studies show that aging process can worsen the problem. That’s because aging causes a decline in vision, hearing, and other abilities that can affect driving skills. Based on some studies on car trackers, the device has been unintentionally designed ideally for younger drivers. Fortunately, GPS makers made some minor changes to make it less complicated and safer elderly GPS tracking device. Let this be your guide in choosing the right elderly trackers for driving. GPS manufacturers consider the size and quality of GPS screens as one of their product’s brilliant features, but based on a research conducted by Carnegie Mellon University, the GPS for elderly drivers is better off without that feature. Furthermore, the study included driving simulator and the result indicated that younger drivers find audio instructions distracting while older drivers (65 and above) dislike video displays. True enough, older drivers encountered lesser incidents when using turn-by-turn audio instructions. This is because, according to some studies, as we get older, our brain’s ability to visualize the map of the world around us diminishes. It also takes longer than before for our brain to understand video displays. The manager of Human Machine Interface Lab at General Motors, Thomas Seder, proposes alternative ways to maximize the effectiveness of tracker for elderly. The ideal GPS devices for older drivers are the ones with simple street display and arrow indicator with words written in easy-to-read fonts. It is also recommended to change the display’s color scheme to a high-contrast monochrome scheme. Some GPS devices sound like a robot being strangled, others sound like silver-tongued politicians, while some use celebrity voices, which all sound okay. However, Carryl Baldwin, PhD, a professor of psychology at George Mason University, suggests buying a car tracking device with a normal human-like sound in a higher volume. The voice’s gender is irrelevant, as long as it sounds natural. In simulated driving tests for various people conducted by Baldwin, drivers were given the same verbal instructions but different volume level. He noticed that people respond quicker to instructions given over a loud volume particularly the older drivers. Many studies have proven that as we get older, our reaction time decreases. 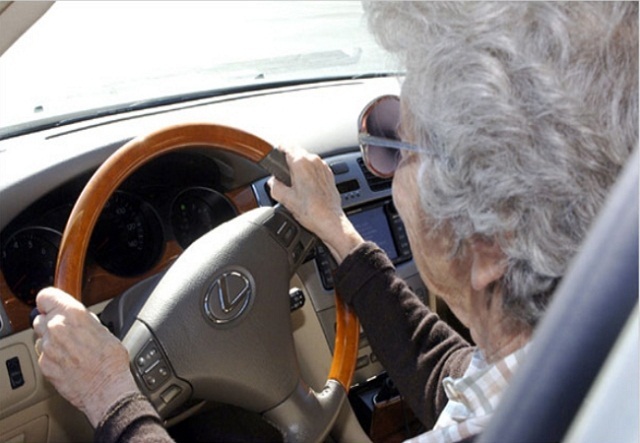 But this doesn’t mean that older drivers are the worst drivers, it only suggests that older drivers need to avoid unsafe driving behaviors including operating on GPS or changing destination on the GPS system while driving. It is advisable to pick a GPS for elderly parents with safe mode feature. One example is a tracking unit that will not accept any input while the car is in motion. Take into account the said GPS guide for older drivers before purchasing a GPS device. Don’t get tempted by its brand and price. Some latest devices offer 3-D visual display of tourists spots rather than the important everyday landmarks such as gas stations, shops, and restaurants. While on the road, a driver deals with increasing amount of information in order to drive efficiently. Scientists are doing their best to make the GPS guide for older drivers accessible. There is this “haptic” steering wheel built by Carnegie Mellon team that relays GPS instructions through vibration—clockwise to turn right, counterclockwise to turn left. We might see this new innovation integrated into cars in the future.